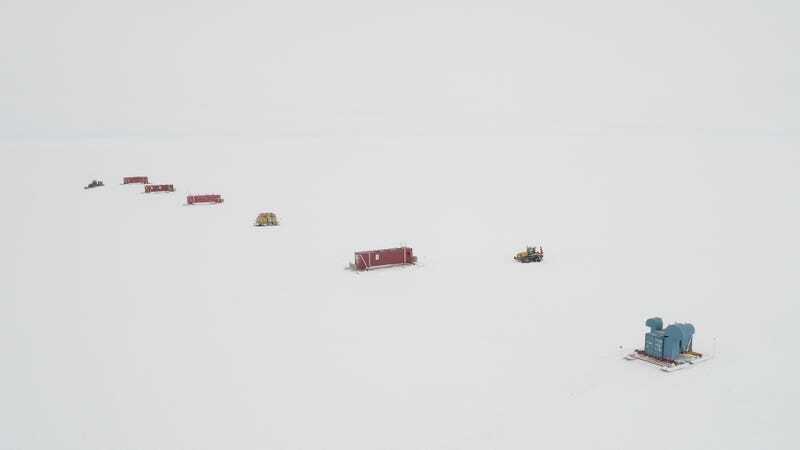 The results come from the Subglacial Antarctic Lakes Scientific Access (SALSA) project, which had previously announced that it would explore the water, called Lake Mercer, with a 60-centimeter-wide drill. The discovery marks the first results from that project, which seeks to understand these strange, watery environments. The carcasses originated from either 10,000 or 120,000 years ago during warming periods, after which ice smothered the lake again, according to Nature. It’s unclear how the life, particularly the land-dwelling, microscopic tardigrade and a certain fungus, got down there. But it’s thought that they subsisted on bacteria in the water. This was the third time that scientists have explored an Antarctic subglacial lake, and the first time scientists had accessed Lake Mercer, having only explored it with radar before, according to the Nature report. Researchers discovered the lake over a decade ago. It is 62 square miles (160 square kilometers) in area and around 500 miles (800 kilometers) from the South Pole. Given Lake Mercer’s location beneath the ice, it’s unlikely that it could have supported a colony due to the lack of sunlight, reports Nature. Perhaps enough sunlight could penetrate a lake covered by less ice to support some sort of microbial colony. SALSA’s project leader, John Priscu, pointed out that his team was careful to rule out sources of contamination, and brought in an outside expert to verify what they’d seen. The expert confirmed that the organisms looked like they’d been dead for thousands of years and that they were similar to ones found in some of Antarctica’s glacier-free regions. It’s worth remaining skeptical, however; there’s no peer-reviewed paper to back up the claims just yet. But this is exciting for reasons other than just the strangeness of finding life in Antarctica. Astronomers have found evidence of ice-covered water on Jupiter’s moon Europa and deep beneath the Martian polar ice caps. Finding life in Earth’s most alien locations make gives us hope that there might be life in analogues on other planets. The team will now try to date the materials, sequence their DNA, and analyze samples from other lakes studied by the SALSA mission to tell the full story. We’ll keep you updated on this story as it develops, and look forward to seeing the published research.